July 7, 2014 By KT Dredge 4 Comments This post may contain affiliate links. Read my disclosure policy here. I love Kristina’s idea of having a mommy book. I have a busy, little girl and I think it is time to get started on my mommy book. I want to put fast and easy activities in my book that will keep my little girl busy but yet, educational. I really like the idea of the magnetic pom pom printables, Kristina posted a while back, but my little girl isn’t quite ready to learn the alphabet. 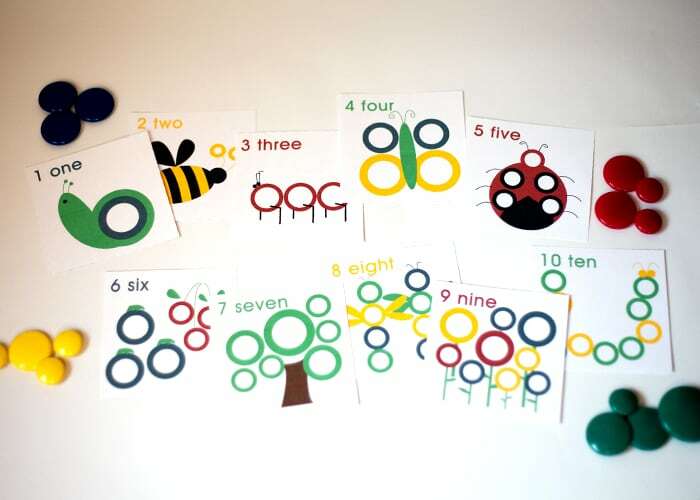 So I created a magnetic printable to help her with her numbers and colors. disclaimer: Do not use these with children young enough to put them in their mouth. It is quick and easy to put together in time for your little one to enjoy. 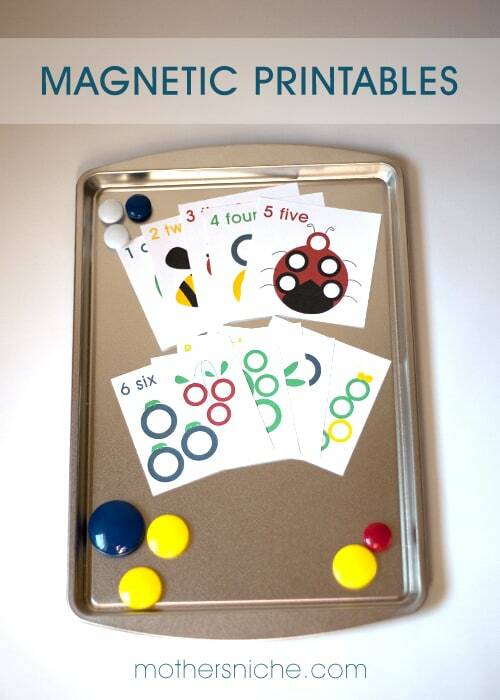 Also, the magnetic printables can be used at home or on the go. 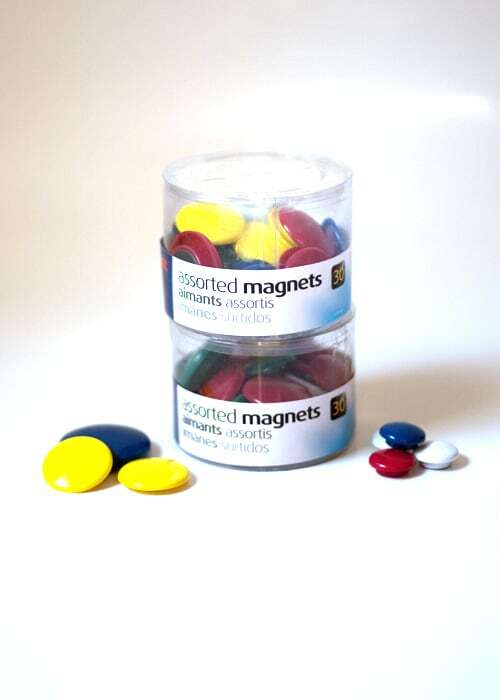 Just purchase some circle magnets or make pom pom magnets as explain here. The magnets I used and that will work best for the printables can be found here. Download and print out the 3 page, magnetic printable. I print mine out on card stock, but if you would really like to make the printable durable, laminate the printables. Then, cut out each 4×4″ number template on the dotted line. 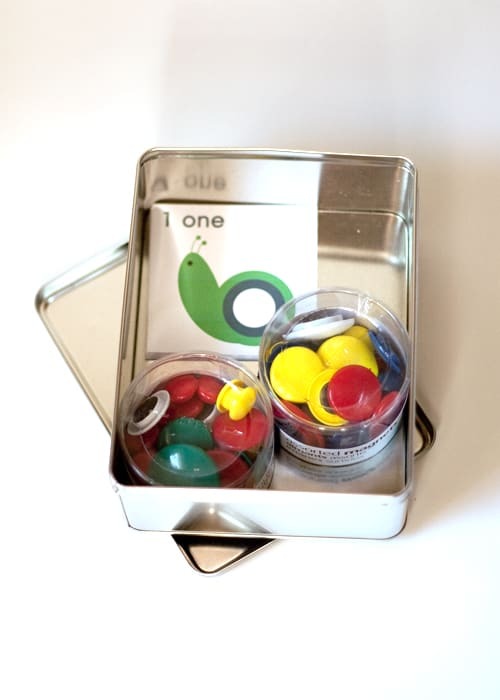 Last, you need a flat metal object the magnets will stick to, such as, your fridge, marker board, cookie sheet, or tin box. At home I use a cookie sheet, but on the go I use a recycled cookie tin. 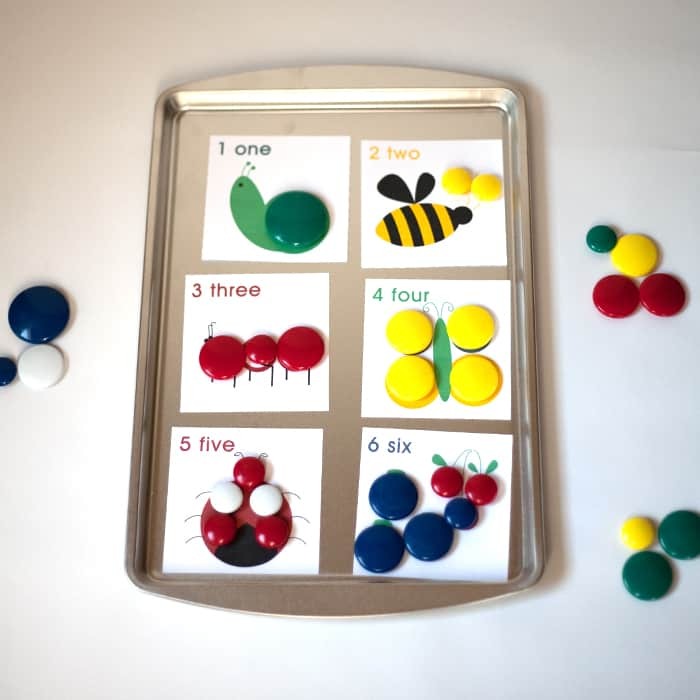 Enjoy teaching your child about numbers, colors, and sizes in a fun, bright way. Want more free printables for your little one? You can check out some of my create together printables here. These are adorable! My kids also love using their Do A Dot Makers on these type of pages! Pinning now! What great ideas! I’m stopping by from Family Fun Friday linkup. Pin it and looking forward to do these projects for my kids. This is an adorable project! I love how colorful your magnets are. Thanks for sharing at Family Fun Friday – we will be featuring you this week at Happy and Blessed Home. These are so cute, pinned! Thanks for sharing!